I stammered on how to answer “no.” My heart dropped as I watched her dream die. How, in the pursuit of my own dream, did I become a destroyer of others’ dreams? This was the question that finally made me look at the American Ultimate Disc League boycott, which demanded gender equity, and my role in all of it. The answer turned out to be the most important discovery of my career. 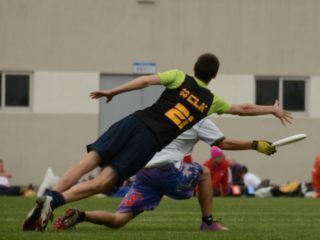 In my 14 years of playing ultimate, I’ve won a college championship, five club championships and three club world championships. I’m the only player to have won three World Games (or “Word” Games, if you read the medal from 2013) and the only ultimate player to win four professional championships. 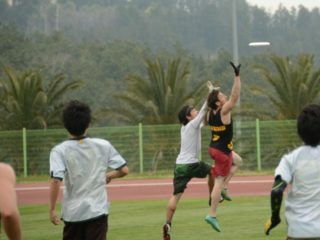 I’ve been flown around the world many times over to teach ultimate and to play showcase games. I’ve been featured in Time and Outside magazines — and I am the cover picture of the ultimate documentary “Flatball,” narrated by Alec Baldwin who, in his honey-coated voice, called me the best ultimate frisbee player in the world. Yet my favorite accomplishment is by far is my work in helping grow the AUDL, which fulfilled my lifelong dream of becoming the world’s first truly professional ultimate player. It’s a dream so personal that I’ve never really talked about it, and it started when I thought life was all about fame, fortune and a sweet Nike contract. In 2004, I sat on the field, depleted and blissful. I’d just fallen in love with ultimate by completing the hardest challenge in my life: winning a college championship for University of Colorado’s Mamabird. The sport had given my life meaning, and yet the idea of a professional ultimate league was constantly ridiculed. The Nike swoosh on my cleats caught my eye and a dream began to form: I’d become rich and famous like Michael Jordan, make ultimate like the NBA — and get my whole team paid. We’d quit our jobs and live in a mansion with a huge training facility. And, just like Mike, I’d sign a sweet Nike contract. When I shared that idea with other players, many thought that a pro league would destroy the sport. Meanwhile, “regular folk” didn’t think it should even be called a sport, and even my mother suggested in morbid detail that I would die broke. I stopped sharing my dream and started shaping it. 2004-2011: These were the hard years. I did everything possible to make myself a real athlete and to make ultimate a “real” sport. While my friends joined companies, got rich, bought houses, got married and raised babies, I lived in garages, worked odd jobs (shoe salesman, children’s book author), trained like a mad man — and promoted ultimate. 2012: Finally I felt unstoppable as I helped lead my club team, Revolver, win their first world championships. I was ready for pro and thought Revolver was too. 2013: It turned out that for Revolver, playing professionally was a fairytale, as many players decided it was not a worthy pursuit. It left me feeling alone when I signed with Dogfish for $50 a game. Thankfully, a handful of Revolver players ended up signing too. I quickly learned that playing pro for Major League Ultimate was not the promised land. The Dogfish owners wanted us to do a lot of the work to promote ultimate as a pro sport, and naively, I was not ready to help. 2014-2015: After a fall-out with MLU over the future of our sport, I met Rob Lloyd, whose approach to building a new league, the American Ultimate Disc League, was compelling: He founded the new league based on his love for his superstar son and a respect for the players and sport. “You create the platform, and I’ll create the entertainment,” I told him. The next two years, I played for the San Jose Spiders and owner Andy Zill, who, like me, relies on passion to overcome shortcomings. I found the majority of the AUDL owners were just normal people with more passion than money. At 31, I finally accepted the difficult truth that professional ultimate was going to be a lot of work for everyone involved. 2016: I was really ready to work when my important yet morally challenging friend, Jim Gerencser, invited me and a couple teammates to make our pro dreams a reality with the Dallas Roughnecks. Throughout 2016, we enticed investors, seduced sponsors, filmed commercials, directed videos, rallied the city council, generated ads, designed merchandise and built a complex out of nothing. I helped deliver on my promise of winning Jim a championship after overcoming a devastating knee injury, which reaffirmed my dedication to my dream. When I saw $50,000 in my bank account, I held Saint George, my stuffed dragon who I’ve had since 7 and always believes in me. Laying on the floor gazing at the iconic picture of Michael Jordan jumping from the foul line, the last 14 years swept over me in waves: the work, the grind, the laughter, the ridicule, the injuries. Fourteen years for $50k does not seem like a good investment, but more important to me was seeing that any dream is possible. 2017: My large paycheck didn’t feel right when so many struggle to pay their club dues, so when I went to the San Francisco FlameThrowers in 2017, I wanted to get everyone paid. I went back to negotiate for my favorite club team, Revolver. 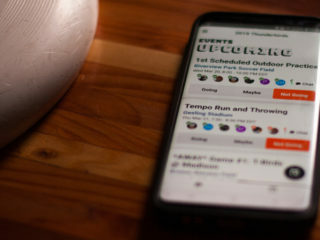 Revolver was still opposed to Pro, but eventually enough got on board thanks to some money and practice fields gained in exchange for signing with the FlameThrowers. We went on to win the 2017 AUDL Championship. It took a few days, but I calmed down and asked myself the hard question: Forget the boycotters. Do I believe in trying to make the AUDL gender equitable in 2018? It took longer than I care to admit to unwrap myself from my story, to let go of my ego and to listen to the movement. Not listen to respond, but listen to learn; to make it not about me but about those who trying to be heard. Finally, I realized a few important things. I had been blinded by my innocent devotion to stay the course, unable to look around at the world. To make dreams come true you sometimes need that. But I’ve reached a point where a dream that does not include everyone is not one I want to pursue. I hate the idea of privilege because I don’t want social class, skin color or gender to get any credit for my difficult 14-year trek to summit the ultimate mountain. Yet hating something does not change the fact it exists. Some of us, like me, start at a higher basecamp and have state-of-the art climbing gear. 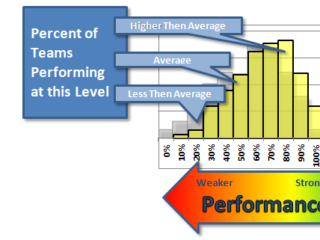 If I really want to prove I’m a good climber, I should go back down and be a sherpa for others less fortunate. For me to ignore the truth of my situation would be a disservice and disgrace to my heroes, like Martin Luther King, Jr., who saw the world not only for what it could be in a dream, but for the reality. Right now, the reality is that the African-American girl in a pink jumpsuit cannot even dream to show the world her talent in my pro sport or even begin to climb the same mountain I’ve summitted. I need to help, I declared, yet I was paralyzed by excuses. I am so far from the perfect man: way too introverted and probably too sexist. My biggest excuse is my secret love of creating a video game company. With no co-founders and no investors, it’s up to my pure determination and life savings to lead our small team up this new startup cliff, a cliff that constantly whispers that wasting any time and energy to help others will ruin my chances of success. Team sports are rough for women. The unequal pay, disproportionate media coverage, and lower viewership suggest that female athletes are not “equal” to men. It’s a systemic issue with a deep and complex history that can be explained by someone way smarter than me. A truly equitable pro women’s league like the AUDL seems extremely hard to pull off. Then it struck me that we are a weird, bold community, and we should be different and daring with our solution. It was a solution that many had been suggesting and I had been ignoring: professional mixed ultimate. Our sport is the only team sport I’ve seen in which the women can have the same impact, or more, on the same game. This is not hyperbole. The only time in my career I’ve felt outmatched is playing against a mixed team with dominant women. The Colombia 2017 Mixed team redefined the sport by being woman-centric and was the only team to beat Team USA in 2017. Twice. Every time I poached off my man, every time I tried to be the hero, the women punished me. They ran an offense around women too smart to fall for our male bravado. The only way we were able to beat them in the championship was by every man playing their role and trusting our women, who, of course, were ready to step up to the challenge. 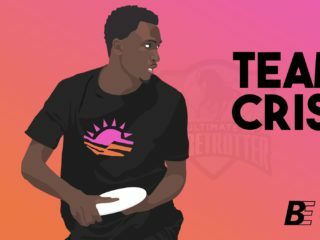 The World Games is the highest level of ultimate I’ve ever played and showcases how perfect the balance can be in mixed ultimate. The play below, a decisive game in the 2017 Poland World Games, is one of the most beautiful I’ve seen. The game-winning score is by one of the best players in the world: 18-year-old Manuela Cardenas in front of one of the best male poach defenders, Mark Lloyd. Her powerful lack of fear equals Mark’s power to control his body and respect her in the most important play of his entire tournament. Professional sports are an entertainment business. In movies, strong women have been given roles that, 40 years ago, were only given to men. Rey (Daisy Ridley) offers a complex alternative to Star Wars’ Luke Skywalker, and Wonder Woman (Gal Gadot) was more interesting than Superman. Given the opportunity, they shone brilliantly, and audiences loved it. Women can be heroes, and heroes already exist in our sport. Manuela Cardenas teleports to the disc in ways I never fathomed. Sandy Jorgensen closes on an opponent better than I ever have. Opi Payne makes highlights I wish I could. Jesse Shofner reminds me of my young self. The world is changing, and there’s a deep, powerful shift in the air. There is talk of a mixed league coming in 2019, called the United Ultimate League, which would compete with the AUDL. The UUL would have six-player, mixed-gender teams, split evenly between men and women. Although I think founder Todd Curran’s heart is in the right place, I doubt it could become truly professional or mainstream because it will lack the top players and the money, and will divide our community further. I fear that it will be considered second class like the MLU and fail, setting a precedent that pro mixed ultimate is not viable. Instead, we should work with the AUDL to start subsidiary: AUDLx, a mixed-gender league that would have the resources, the knowledge, the infrastructure, support of the amazing owners, and the power to give us a shot at the best minimum viable product. We’d start small with the top talent. The AUDL owners can create six teams coupled with the six best existing AUDL men’s teams. We can piggyback on the travel schedules of AUDL teams for AUDL games and bring a smaller roster of men, leaving spots for women to join. We’d play a smaller rostered AUDL game one day, or even earlier in the day, then we’d play our AUDLx game with its own set of rules and field size. Let us, the players, create our best product. Bring the fans in close to surround the field. Capture it with the best live video we can, the most cameras, the best tech, the best commentary. Let’s dream big. Equity is about accelerating the growth of some, not stopping the growth of others. We should work together to avoid the easy trap of attacking each other over our differences. I may be wrong about the best solution, but what matters is that I want to use my platform to show that our athletes, no matter race, social status or gender, are equal in value. I will put a priority on playing in the league most willing to make pro ultimate a reality for everyone. In 2018, I will play for free in the AUDL city most willing to help AUDLx. If that does not happen, I will play for the city most willing to give female athletes the resources, spotlight and media coverage they deserve. I am willing to live in a garage, seduce sponsors, craft commercials, entice investors and do whatever it takes to create the pro dream not just for me, but for all of us. I’ve realized I am never going to be Michael Jordan. I am just a boy trying to grow the sport he loves with people he loves and I would be honored to help level the playing field so an amazing athlete like Jesse, Manuela, or the African-American girl in the pink sweatsuit can become the first ultimate player to sign that sweet Nike cleat contract.